I am sure many will agree with me that Shang Palace, does some terrific dimsum, in the heart of KL. 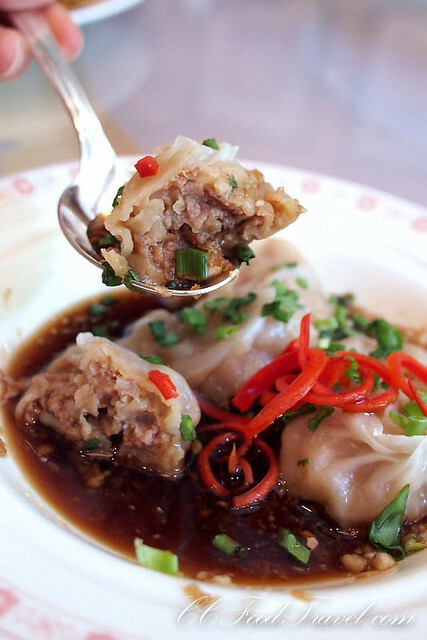 Where else can you find fifty over varieties of dimsum on the menu under one roof. 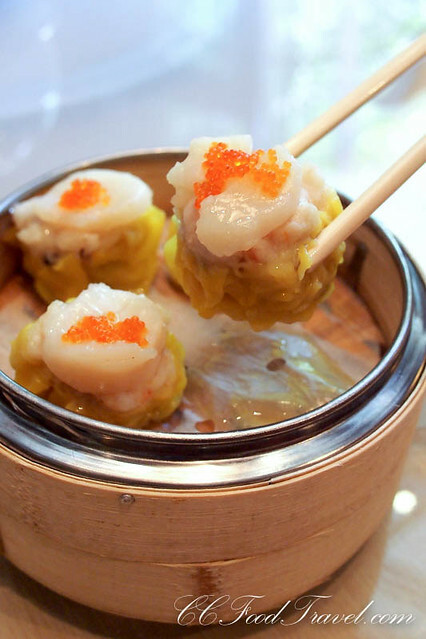 Freshness is of top importance and dimsum Chef Low Kien Fatt is in the kitchen making them every morning at 7am. He is a big advocate of low sugar, and no MSG. How nice leaving lunch without dying of dehydration and thirst! Chef Low is such a humble guy and it was great talking to him – this chef worked his way up in the kitchen till his dimsum became famous. 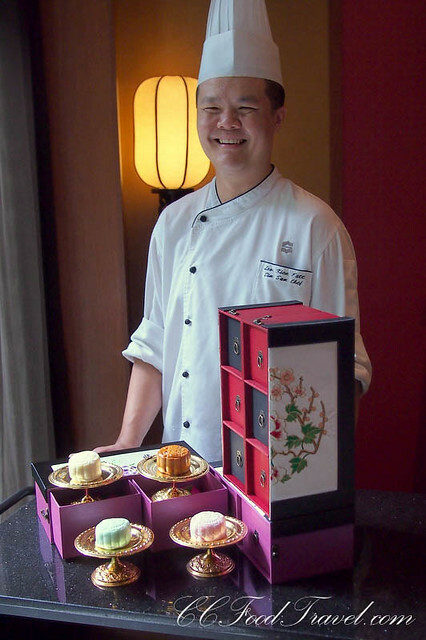 He kept on improving on his lore by working with Hong Kong sifus in five-star hotels in Kuala Lumpur, then the Tung Lok group of restaurants in Singapore. His last job was with the Shangri-La in Jakarta. He told us that the main difference between KL and Jakarta is the multitude of help in the kitchen, i.e. having 20 kitchen assistants were no big deal in Jakarta, but the skill level was low, so you had to teach them everything from scratch. Currently there are a lot of Malaysian chefs working in Indonesia. Digging into Chef Low’s dimsum was a lovely affair. 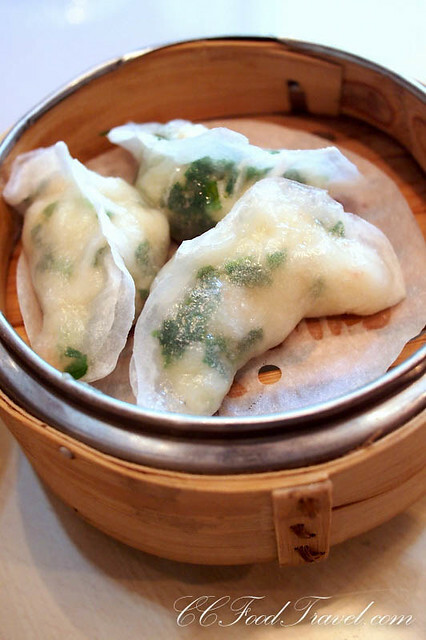 The Chive Dumplings with Shrimps were fabulous – they had the thinnest, most delicate skin, with chunks of crunchy prawn and chopped chives inside. Super sweet and succulent. Loved the larger than life Siew Mai with a nice juicy scallop on it, as well as the Wu Kok, Har Kau, Fried Radish Cake and the Deepfried Beancurd Rolls. All incredibly flavourful picks for lunch I must say. 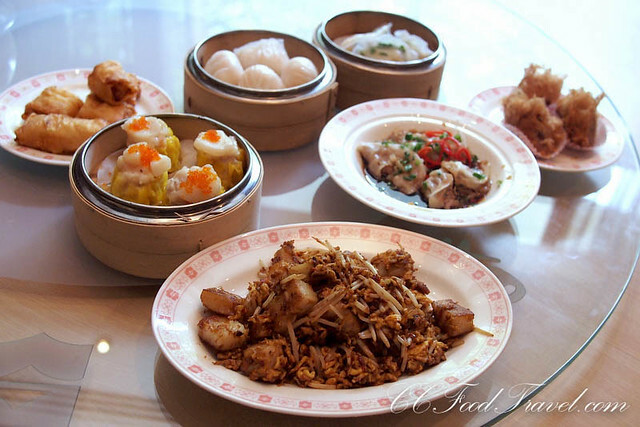 The dimsum dishes are between RM10 and RM12, the deepfried squid is RM20 and the double-boiled soup is RM35. Shangri-La’s Snap & Share Contest for Mooncake Gift Boxes is already in full swing, but there is still time to participate. 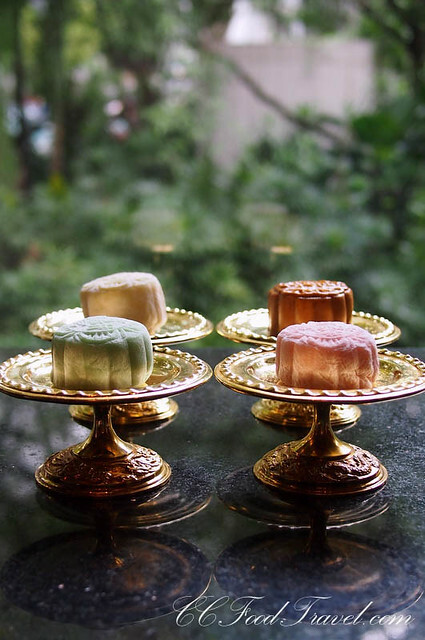 The Shangri-La Hotel, Kuala Lumpur has launched a Snap & Share Contest from the 1st of July – 8th of September, inviting those who have bought Shangrila’s mooncakes to show them how you can decorate or use creatively the beautiful mooncake gift boxes that came with the moon cakes. Just snap a picture and upload to our Facebook – Shangri-La Hotel, Kuala Lumpur, and share. Like Shangrila and join. A Grand Prize of Two-Night Stay in a Suite and 10 prizes of Buffet Dinner at Lemon Garden Café await the winners. The deadline for submission of entries is September 8 2014. 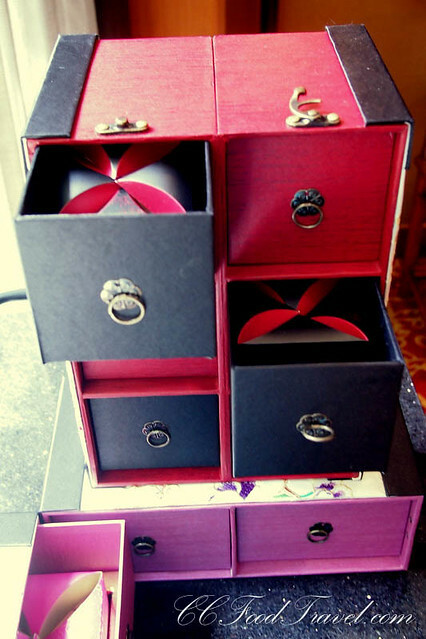 The mooncake gift box … get creative with decorating it! Don’t forget to indulge in Mooncakes this few months.. afterall, how often do you get to sample a slice of the moon.. ? Ooh, I do enjoy a good dim sum. I prefer the steamed version, while hubby loves the fried stuff. I am very interested in that mooncake box! It looks really good – that’s one incredibly tall jewel box design. I’ll get it for the box alone! Do you know how much it is? Oh and it seems like there’s some snow skin options inside, which would require refrigeration – plan on bringing some back for my dad. Good news! 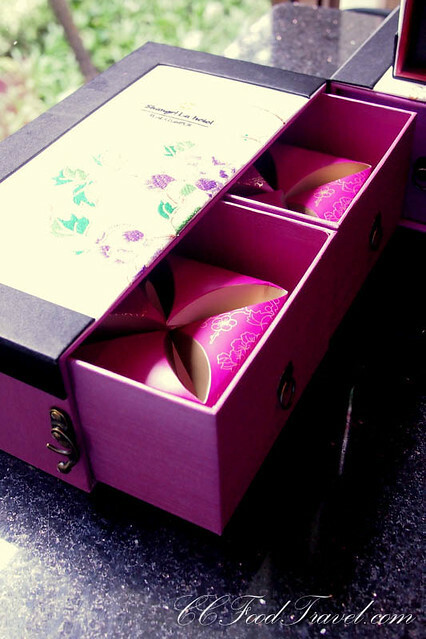 The Box comes with orders of 4, 6 or 12 mooncakes. Definitely a great pressie for your dad!